Hollywood actor Brad Pitt is reportedly in India on some special business and will be chilling with Bollywood star Shah Rukh Khan. 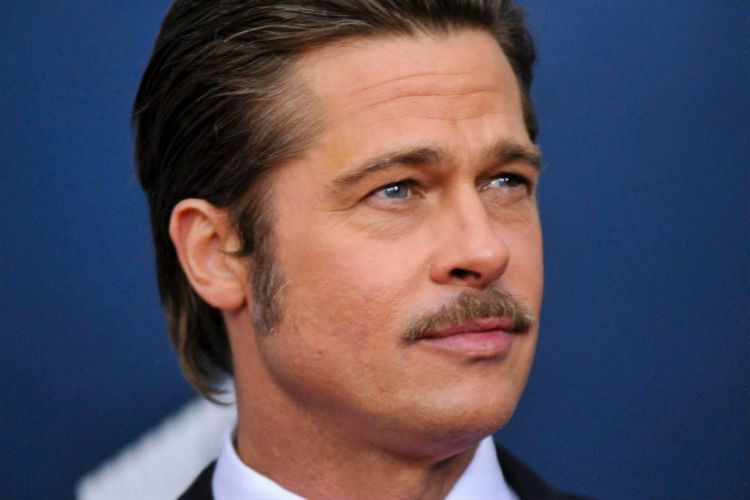 Brad Pitt has arrived in India, a piece of information that is bound to shock many. Usually, whenever a Hollywood biggies arrive in India, a lot of hooplas is created around it. Perhaps that is why the mention of Pitt’s arrival has been made in hushed tones. The 53-year-old Hollywood actor landed in India on Wednesday morning and will be staying at a cosy hotel in South Mumbai. Besides the Hollywood star’s arrival, what’s even more stirring is that Pitt will be chilling with Bollywood big shot Shah Rukh Khan. According to HuffPost India, the two actors, who are one of the biggest stars in their respective industries, will be meeting over to discuss the evolution of cinema. Sadly, their little get-together is kind of private and Brad Pitt did not actually come without a tightly-bound security. ALSO READ: Do you know Arundhati Roy scripted Shah Rukh Khan’s first film? Pitt’s trip to India is not an unplanned one as the actor is here for his upcoming Netflix movie War Machine. Aside from Pitt, the satirical war film stars Anthony Hayes, Anthony Michael Hall, Topher Grace, Will Poulter, Tilda Swinton and Ben Kingsley, and will be released on Netflix on May 26, 2017. In the film, Pitt portrays the role of a four-star General named Glen McMahon. After being transferred to Afghanistan to terminate a war, McMahon realises that he himself is under threat. 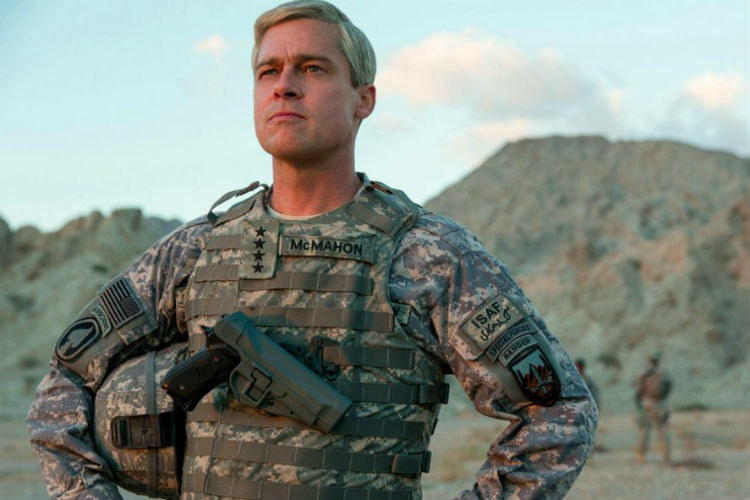 Brad Pitt plays the role of four-star General Glen McMahon in upcoming Netflix film War Machine. Reportedly, Pitt was flown down here for War Machine premiere in Mumbai. Rumour has it that he is supposed to be the “surprise element” for the event which will be held at a multiplex in South Mumbai. While his presence is not certain, the film’s director David Michôd and producer Dede Gardner have been confirmed to attend the premiere.